I am really more of a summer person than a winter person. At least that’s what I always think until it gets to this time of year. Then suddenly I obsess about wanting it to snow, I want to have cosy fires every night, I start digging out Christmas movies and I become obsessed with huge jumpers. Weird. But very true. And yes I know it is way too soon to be watching Christmas movies, but I’m just being prepared…. Anyway back to huge jumpers. 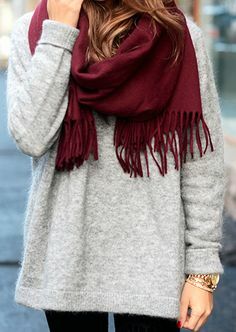 Autumn (or Fall) and Winter clothes have become my latest obsession on Pinterest. Everything looks so cosy and inviting. 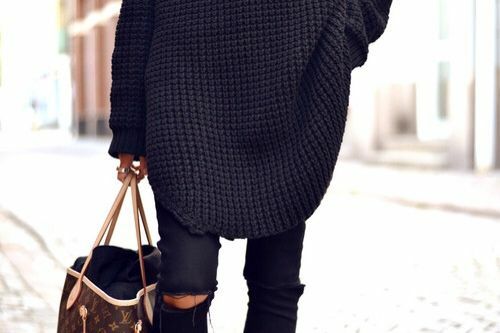 I thought today I would share some of my colder weather inspiration with you guys and then in a few days, we’ll look at some of the shops and designers that are doing winter wears right. First up, lets look at some more transitional pieces. These are more suited to Autumn/Fall because you don’t necessarily require a huge winter coat just yet, but you definitely need to wrap up. I am obsessed with huge, over sized jumpers. The jumper in the first photo below is my new favourite thing that I need to have now, closely followed by needing the entire outfit in the fourth photo. Trenches layered with knits are ideal because you can stay warm as well as protected from the inevitable downpours of rain. We’ll move on now to more winter warmers, coats. I love buying new cosy coats which I then wear to death. My two favourite are both from Zara, I’m sure they will be making an appearance on the blog really soon because as I am typing this I’m looking out my window to howling wind and rain. Lovely. I love Blake Lively’s powder blue coat below. The contrasting darker collar keeps it interesting and the big lapels are gorgeous. If you’re already looking to incorporate some of SS 14 trends into your wardrobe, you could start of simple with a pink accessory like the pink beanie below. 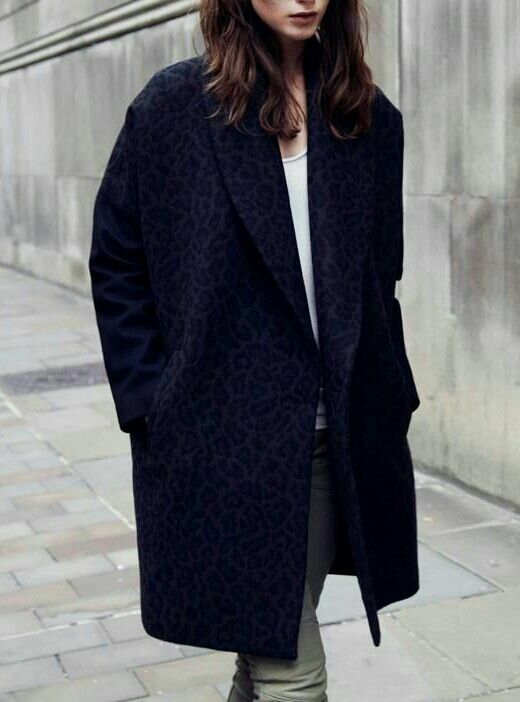 Or if you’re feeling a little more adventurous, Topshop have a stunning pink coat that is literally to die for. 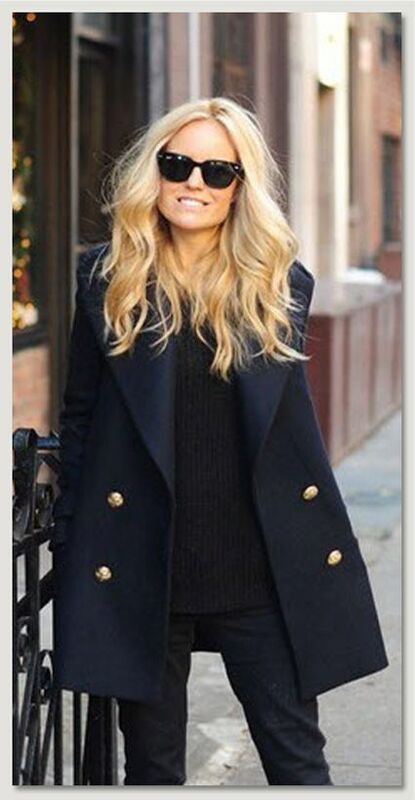 Dark coats are always a winner, my black coat from Zara always makes me look more together than I probably am. I’m seriously considering skipping my lectures in college this evening and going shopping instead. That is so wrong of me I know, but I can’t help it!